Prof. Dr. Gennady Andrienko and Prof. Dr. Natalia Andrienko (www.geoanalytics.net/and) are lead scientists responsible for the visual analytics research at Fraunhofer Institute IAIS and full professors (part-time) at City University London, UK. They co-authored monographs “Exploratory Analysis of Spatial and Temporal Data” (Springer, 2006) and “Visual Analytics of Movement” (Springer, 2013) and more than 90 peer-reviewed journal papers. 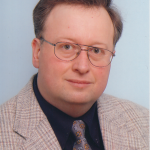 Gennady Andrienko is associate editor of IEEE Transactions on Visualization and Computer Graphics (2012-2016), Information Visualization (since 2012), and International Journal of Cartography (since 2014). 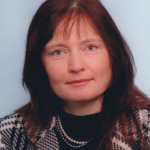 Natalia Andrienko is associate editor of IEEE Transactions on Visualization and Computer Graphics (since 2016). Gennady and Natalia Andrienko received best paper awards at AGILE 2006, EuroVis 2015, and IEEE VAST 2011 and 2012 conferences, honorable mention awards at IEEE VAST 2010 and EuroVis 2017, VAST challenge awards 2008 and 2014, and best poster awards at AGILE 2007, ACM GIS 2011, and IEEE VAST 2016 conferences.